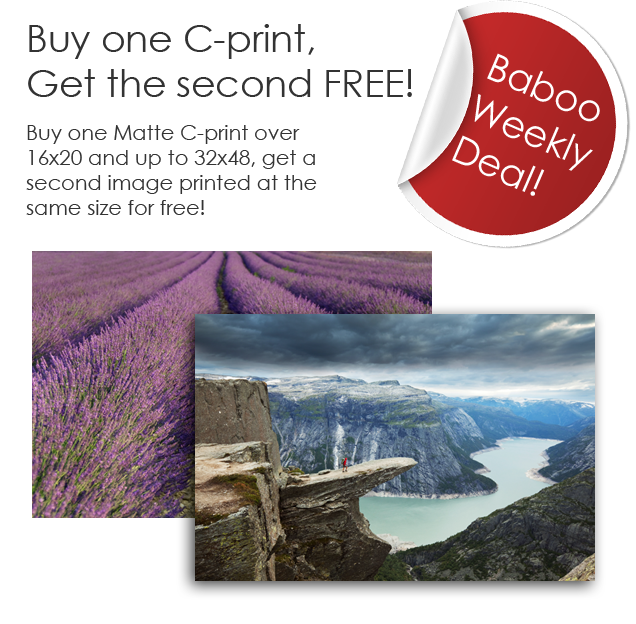 Baboo Digital started posting weekly specials for all of their printing and framing. Every week there is a new WEEKLY DEAL, this week is a buy one get on FREE. I highly recommend using them as they are my go to guys for Printing and framing. Just contact them to sign up for their mailing list and get on their weekly sales emails.